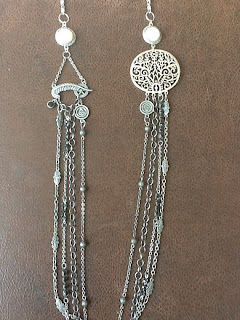 I am Ann Brown and design and make jewelry. I am a retired secretary from our local school board office. I live in Roanoke, Louisiana with the my husband of 43 years. We have 3 wonderful children, 7 grand children, 3 great grand children. Our lives are very full and very blessed. My shop is Memories By Design. You can find me here at Etsy under memoriedesigns. 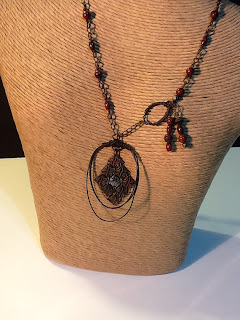 I have been making and selling jewelry for over 15 years. I began selling out of my office and participating in local craft sales. When I decided to make a business out of this hobby, I needed a name. I wanted something that would have a real connection to my customers. I came up with the name "Memories By Design". I wanted to take jewelry that someone had inherited which they would not wear and make a wearable piece from it. In this way, they could honor their loved one every time they wore this new piece of jewelry. So I try to make memories every time I work on a new piece. When I think about "handmade art", for me this means putting a little of myself in each piece. I use my passion and design sense to make each piece. While some would argue that handmade items are not art, I disagree. 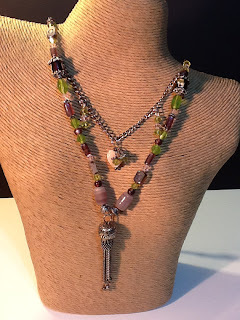 Although I think that anyone can string beads on a cord and call it jewelry, not everyone has the design sense to know how to choose colors and shapes which work together to make a pleasing pattern. I don't think anyone could look at a bead workers weaving of beads and not call what they see art. Art is in the eye of the beholder. I get inspiration from many things; people, colors, shapes. It does not take much to get me thinking about my next piece. If I had to say one person who has inspired me the most, I would say my husband. He has always encouraged me to try new things and has always believed that I could do whatever I set my mind to do.